Come out Friday February 18th and Fist Pump the night away with Jersey Shore's Vinny Guadagnino. He will be hosting a G.T.L. (Gym, Tan, LEOPARD) contest for girls with the best body, tan and sexiest leopard outfit. Prizes include Gift Certificates to local tanning salons, gyms, hair salons and boutiques. 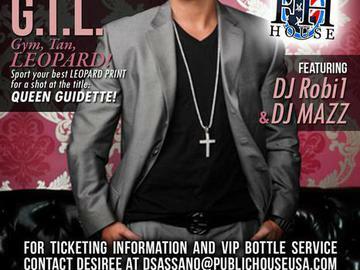 Don't miss Philly's biggest Jersey Shore party of the season! Must be 21+ and present valid ID to enter.